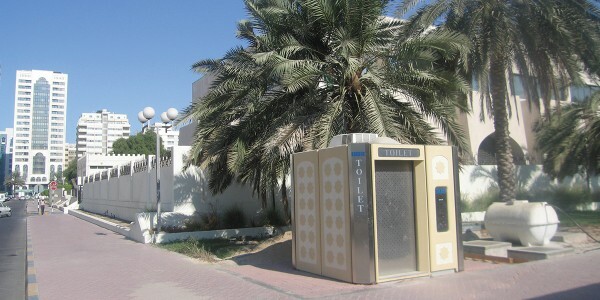 ABU DHABI (U.A.E. ): installation of TAU self-cleaning toilets. The Municipality of Abu Dhabi has commissioned, in the context of a project to provide the town with public toilets, the installation of 30 self-cleaning toilets with high-level safety and hygiene. 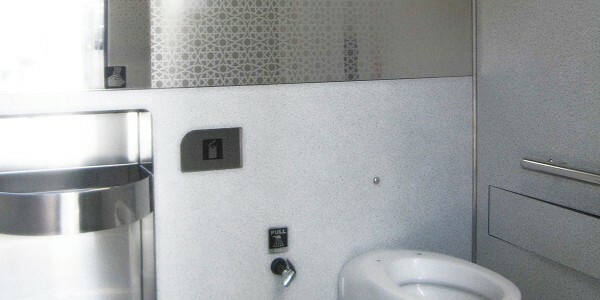 Our Company has studied a customized version of its TAU automatized toilets, with external paneling decorated with local traditional artistic motifs. 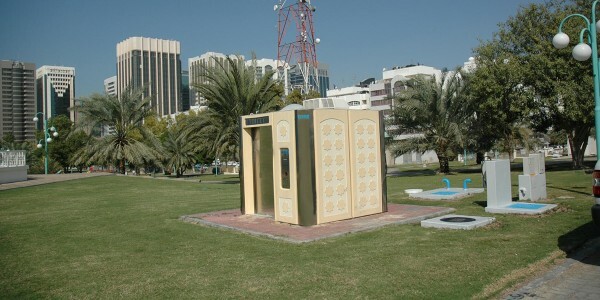 TAUH is the top-of-the-range of automatized public toilets. 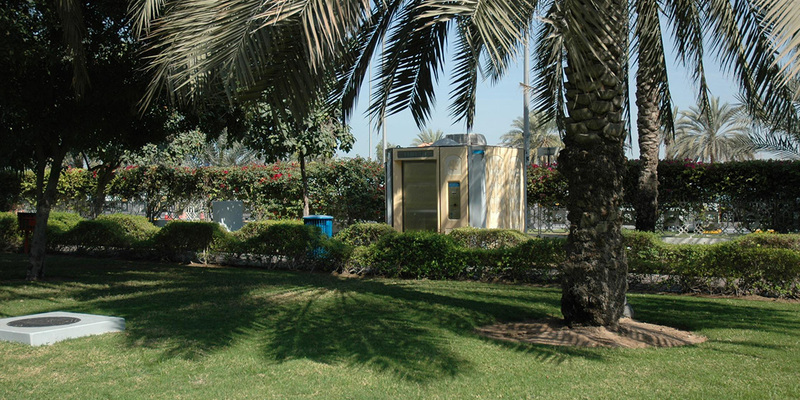 The unit is equipped with automatic sliding doors, infrared-activated soap, air and water dispensers, automatic washing and drying of bowl and floors.